4MANN Industries Pvt Ltd. (formerly known as Eurobond Industries Private Limited) is in Aluminium Composite Panel Business since 2002, having state of the art manufacturing unit in Jammu, India. We have launched a new brand That has same quality and services for which 4MANN Industries Pvt. Ltd. is known for. is committed to offer you same composition with Best Quality and Services as we have been servicing you with till date. Our product grade and colour codes remain the same. Since the inception in 2002, Mr. Suresh Gala has been a driving force behind the company's growth story. Today, with an installed capacity of more than 3 million SQ.Meter per annum, ACP is among the top 5ACP manufacturers in India with 10 local warehouses, 80+ distributors and more than 20,000 dealers network all across the nation. 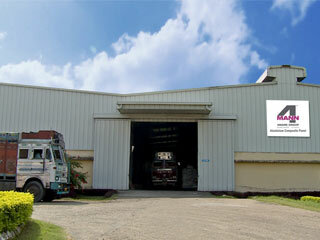 It is constantly expanding its business operation not just in India but also globally. ACP has its International partners in Kenya, Srilanka and Uganda.